The first step in developing a strong, organization-wide business continuity plan is conducting a Business Impact Analysis. Why Do I Need It? The BIA helps the Credit Union assess its risk related to various disruptions and determine how quickly various systems and processes need to be recovered. What Are The Likely Outcomes? Initially, the management team and participants will provide a set of data that will not be accurate. This is normal and will be synergized and refined during the process until the Credit Union executive team has a good assessment of the potential risks related to a business disruption. Why OGO? OGO has a unique methodology designed specifically for Credit Unions and created to be extremely efficient and correctly address any NCUA Regulatory concerns. Organizations often struggle with assessing the financial and other business risks associated with a service disruption. Financial Risk is an important element of our comprehensive BIA. Ongoing Operations’ Financial Impact Analysis (FIA) model is based on your Credit Union’s 5300 Call Report data. You can search for your Credit Union and download an instantly generated report here or work with your business continuity professional to customize the variables. Either way, this “bottom line” tool can help you identify Recovery Time Objectives (RTOs) and Recovery Point Objectives (RPOs) for critical processes & supporting resources. 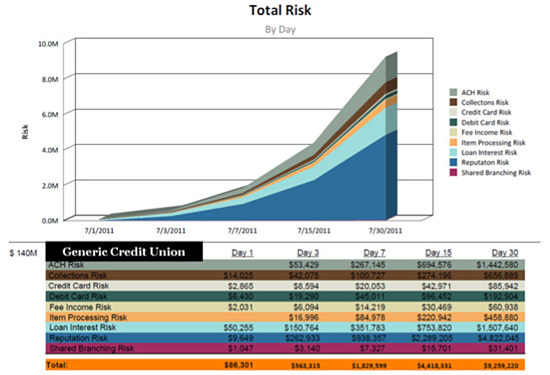 Facilities needs and staffing needs are also identified as we evaluate your Credit Union’s top risks and begin developing strategies to mitigate them. BIAs should be refreshed as your business expands and new systems are added. We recommend conducting a new BIA at least once every 3 years or whenever you have a significant product or service expansion. Do you have questions about how to conduct a Risk Analysis? Would you like to know how to engage your staff in your business continuity program?